On Sale For 99¢ at Amazon! Available now at your favorite online store. Family is not always blood and blood is not always family. People are not who you believe them to be. Life has been good to Mayor Harden, the mayor of Marston - money and power - until someone else who knows his darkest secret wants a piece of his action. The choice is simple, money or family. Which will Mayor Harden choose? Will he choose money and let his niece show up on his doorstep one body part at a time, or will he choose family and purchase his own burial arrangements? Only time will tell. 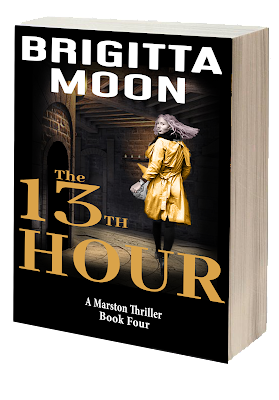 Get Ready for The 13TH HOUR! Don't worry...you won't get spammed. I am deep in words, writing the next novel.